SO! Here’s my first installation for #tbt, AND it’s something never posted to A&A. My Taipei Tattoo! Before I left Taiwan, I had to get a tatt. 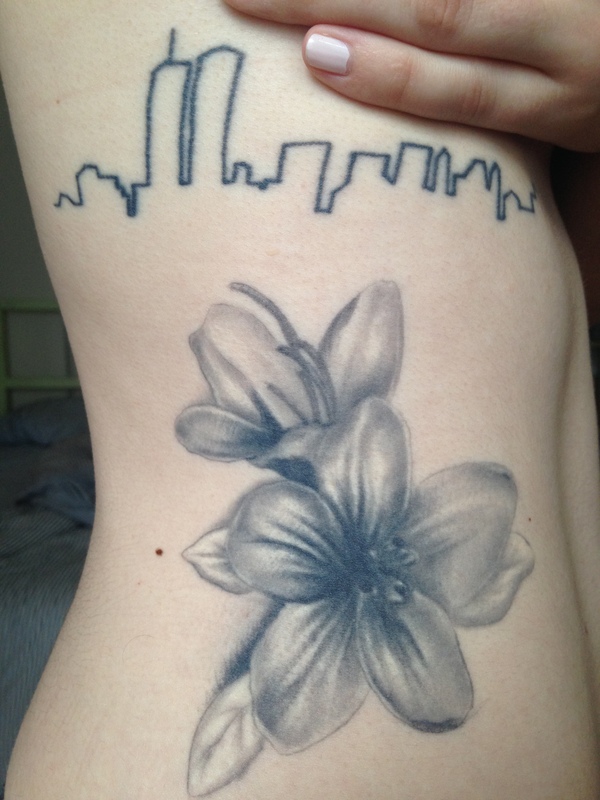 I have the old NYC skyline on my right rib cage, and since I was living the Big Apple Girl in the City of Azaleas Dream, decided to get a small cluster of azaleas underneath my birth city Ode. Knowing I was leaving within a week, I got my Taipei Azaleas on September 13, 2013. I found my artist, 方淳生 (Fang ChunSheng) of Tiao Fang Tattoos by world of mouth from friends. I had no idea that he was pretty much totally famous in Asian Tattoo-land! 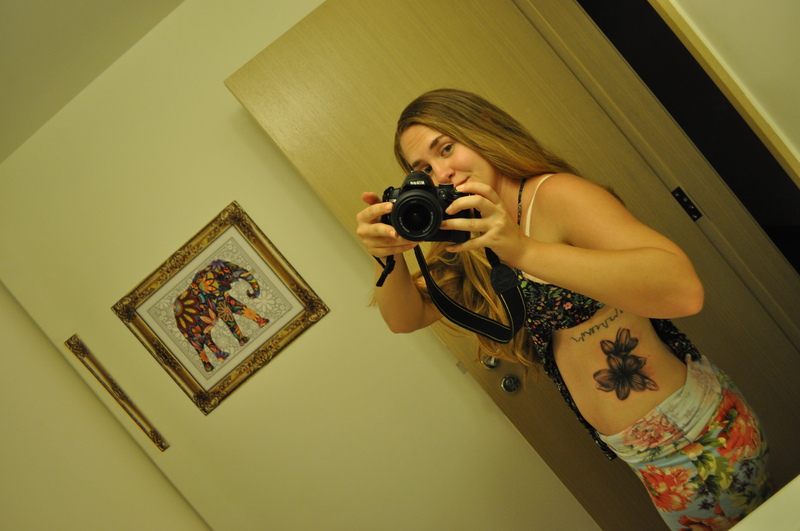 In case you don’t know, rib cage side tatt’s are some of the most painful. This was the first one that actually made me cry from the pain. But by the time I started I couldn’t stop because Mr. Fang finished working and all the “I’m leaving Taiwan,” feelings swooped in. I tried to explain to Mr. Fang (btw, that’s also my Chinese last name!) that the tears weren’t because I was a wuss, but because I was about to “回國,” return to my home country. He had worked silently for 90 minutes and maintained his professionally stoic stance through my blubbering. Probably for the best. I went home to my friend Graci’s apartment, where I lived my last few weeks dog-sitting her Frenchie, Yoda, had a nice, cathartic cry, and took this. Speaking of Azaleas… This came out while I was in Taipei.